Home Profile Directory Jennifer Alanis Ph.D.
Dr. Jennifer Alanis is currently the Director of Diversity and Inclusion for Colorado State University-Pueblo. 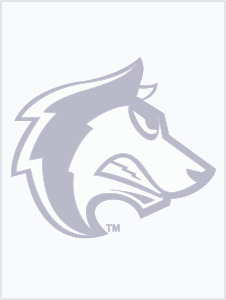 Prior to joining the ThunderWolf Family she served as the director for The Transfer Center for Daley City College in Chicago, IL. As the Director of the Transfer Center at Daley she enabled students to pursue their educational dreams at four year institution’s that fit their goals. Jennifer also helped create a student’s academic plan along with their academic advisor. Jennifer also previously served as the Program Manager for the Office of Inclusion and Intercultural Relations at the University of Illinois Urbana-Champaign and one of the Assistant Director’s for La Casa Cultural Latina. Jennifer was a proud member of the Illini family from 2007-2012. While at UIUC she completed her M.ED in Educational Policy Organizational Leadership. She is a 2004 Loyola University Chicago graduate where she received her B.A. in Communications with a triple minor in Spanish, Women's Studies, and Literature. While at Loyola she had the honor of becoming a member of Alpha Psi Lambda, Fraternity, Inc. She is also a 2007 Graduate of Columbia College Chicago with a M.A. in Arts, Entertainment and Media Management. Most recently Jennifer completed a Doctorate of Education (Ed.D.) from Benedictine University in Higher Education and Organizational Change. Prior to joining higher education Jennifer worked for Radio Disney AM1300 as a Promotions Associate and was a Graduate Assistant to the Office of the President at Columbia College Chicago. She is an active member of NASPA and a NUFP Fellows mentor. Jennifer sailed around the world on the 99th Voyage of Semester at Sea and on the May 2012 Short Term Voyage. Jennifer brings years of experience in programming cultural, educational, and social events. Her professional interests include Latina/o youth outreach, Latina/o in the Arts and Latina/o immigration issues. Jennifer grew up in a northwest suburb of Chicago and is of Mexican and Italian decent. She is excited to be leading the pack in regards to diversity initiatives on the CSU-Pueblo campus.